October: Kicking off 5777 right! Boom! Another hugely successful Open House Party went off without a hitch last week, when more than 250 of you came out to meet with 65+ organizations that are really making a difference. A huge thank you to all of our partner organizations for all they did at the event and all they do for our community! Check out the photos from this exciting night. As we start anew, it feels like the perfect time to thank you for being a constant source of inspiration and support – to us and to our community. Your commitment, your energy, your talents, help to build a caring Jewish community that offers meaningful opportunities for all. We look forward to the year ahead and to creating a bright Jewish future together. Moishe House is looking for 3-5 dynamic young adults between the ages of 22-30 to live together and launch the Russian-Speaking Moishe House in Boston! We encourage groups of potential residents to apply together. For more details about Moishe House Boston RSJ, please contact Yana, Director of RSJ Programming, at yana@moishehouse.org. Was 2016 good to you? Find out how it treated Emily, Matt, Ashley, Pete, and Alexis in our latest Young(ish) post on JewishBoston.com. These 5 young adult leaders share what they were grateful for (and sorry for) this past year — and what they are excited for in the year ahead! Want to be introduced to other young Jewish adults in the Boston area? Want to meet up with fabulous friends and discuss topics around Jewish culture and identity? How about connecting more with Israel? LEADS is a super-comfy, uber-social, eight-session program that does all of that and more! So, what are you waiting for? Registration for LEADS is open through October 13! With a few weeks to go until the polls open in the U.S., what will Israelis be watching for? What are their hopes for the outcome and how do they view each candidate? What happens next under a Trump or Clinton administration? Join us on November 1 at 7:00 p.m. for a conversation led by Herb Keinon, diplomatic editor for The Jerusalem Post, one of Israel's most-read English news sources. Wanna spend ten days in Israel — for FREE? Winter Birthright registration is now open! Don’t miss out on this incredible opportunity for the trip of a lifetime. What’s it like? Check out this first-person account of the Birthright experience. The Boston Jewish Film Festival is coming! Binge watching isn’t just for your couch anymore. This fall, take your pick of up to 60 film screenings here in Boston and beyond. Also take part in BJFF’s FreshFlix series and join other young adults to discuss and celebrate the new voices in Jewish film. Take two, and find out more about what this year’s festival has to offer. Are you a great storyteller? Do you have an inspirational tale to tell? How would you like to hone your oratory skills under the bright lights of a TED-style talk? We’re looking for powerful stories about Israel for a November 13th event sponsored by our partners at the Israeli American Council. Find out more here. Join JArts, Kitchen Kibitz, and Ganei Beantown on October 20th for a delicious celebration of the fall harvest. This pop-up event, created by Chef Ivan of Branch Line, explores the rituals and mysticism of the Sukkot harvest festival complete a three-course meal on the patio (à la sukkah). Sukkot never tasted so good! 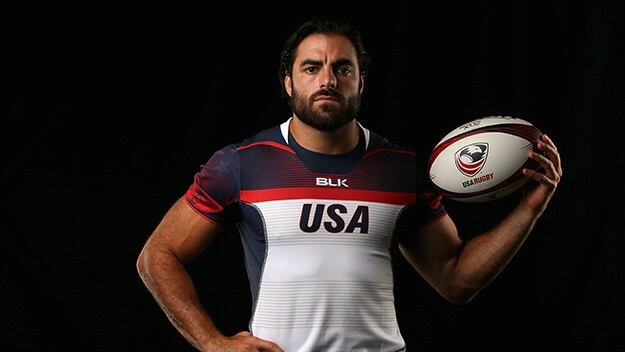 New England Patriots special teams standout, and local bad@ss, Nate Ebner is back on the field at Gillette Stadium this Fall, but just a handful of weeks ago he was competing for a medal in Rio as a member of the U.S. Olympic men’s rugby team. And we thought Julian Edelman was tough! Friday, October 7 | 5:57 p.m.
Friday, October 14 | 5:45 p.m.
Friday, October 21 | 5:35 p.m.
Friday, October 28 | 5:25 p.m. Questions? Ideas? Let’s chat! Reply to this email or reach out to Dani Weinstein, Associate Vice President, CJP Young Adult Initiative, at daniw@cjp.org.